Jürgen Bilo is Managing Director / Vice President cof Co-pace, the organization of Continental to incubate startups, and intrapreneurs. He kindly accepted to describe the activities of Co-pace, and the way it collaborates with startups. Can you describe the missions of your entity, the Co-pace? Co-pace is the start-up hub of Continental. Through our insights of the start-up ecosystem, we enable transformation, and foster new technology as well as business models in order to generate future solutions. For us technology matters, and so do teams – we create meaningful connections elevating start-ups and Continental to the next level. Furthermore, we develop forward looking initiatives to enhance intrapreneurship across the company. What are the programs that you’re offering to entrepreneurs (Incubator, Startup Co-Operation, Corporate Venture Capital)? What are the length and content of the Incubator and Startup Co-operation programs? How many entrepreneurs do you incubate per year? What is the mix between Continental employees, and external startups? Co-pace offers multiple programs to entrepreneurs. The company is made up of three building blocks: incubation, co-operation, and investments. The incubator program currently only works with internal employees, however the two other building blocks, co-operation and investments, also work with external start-ups. Three teams completed the incubator last year, with one team being spun-off to be its own entity and start-up. Currently, we have six incubator teams working in China and Mexico, and in November we started our next incubation batch, with three teams coming to Berlin to work on their MVPs. They will be part of the incubation program for 4 months, fully dedicated on a sort of hiatus from their “normal” job. Last year the teams were given the freedom to come up with and pitch any concept, while this year the teams were given more focused topics like Megacities. The teams are encouraged to come up with out-of-core concepts that enhance innovation surrounding mobility and promote sustainability. The co-operation program facilitates successful co-operation between external start-ups and Continental Business Units. It not only pre-selects, analyzes and connects the start-ups to respective contacts within the company, it verifies whether the product of the start-up works in Continental applications. By offering the co-operation framework we give the start-up the possibility to apply, and test their solution in an automotive environment. Due to our structure, corporate venture capital (CVC) is closely involved throughout the entire process and ready for the next steps in case of a successful proof of concept (PoC). Adding to that CVC also looks at start-ups without a prior connection to Continental that are not in a co-operation to analyze their investment potential. Are the programs available in various locations over the world? 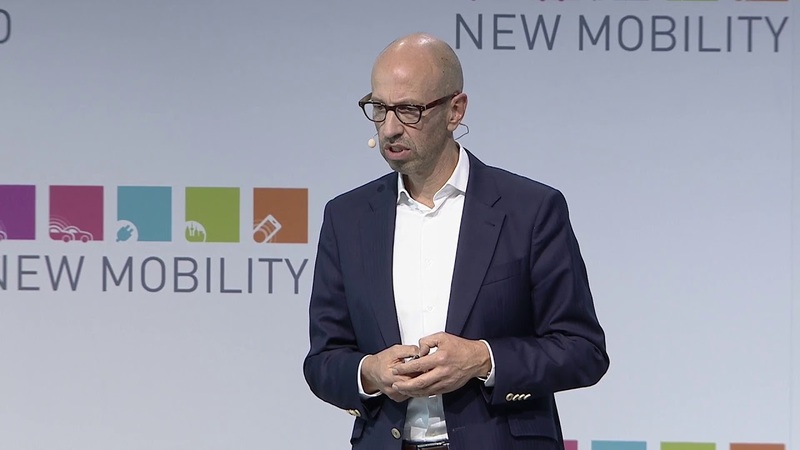 Incubation is currently taking place in Mexico City, Mexico, in Chongqing, China, and in Berlin, Germany. Last year the program was available in Munich, Germany, in which teams from ten different countries could participate. At this point in time, we are preparing the incubator for 2019. Continental and co-pace want to make sure that all employees can participate in the incubator program, which is why co-pace is always looking to offer the program in various locations. The co-operation program as well as CVC do not have any geographical restraints and are active in all major start-up ecosystems such as Silicon Valley, Israel, Europe and Asia. How do you handle the scale-up phase for intrapreneurs? Are you oriented toward transitioning the intrapreneur project into an external startup, or to an internal business unit? So far, co-pace has spun-off one concept into an external start-up. But co-pace is more inclined to transition the teams to an internal business unit which is mutually beneficial, as the employees can use Continentals extensive resources to help their concept grow rapidly and enter the market sooner. Regarding the other incubator teams, most of them have returned to their business units to work on the concept internally. What are the outcome of your entity that you are particularly proud of? Can you name a few startups and intrapreneurs projects examples? Generally, for being so young (born in 2017), we are very proud of all that co-pace achieved in such a short amount of time. We are proud of all the teams that have participated in the incubator, as it is not only about creating a new product that will succeed on the market, but it is also about learning, acquiring new skills, and having the opportunity to work as a start-up. 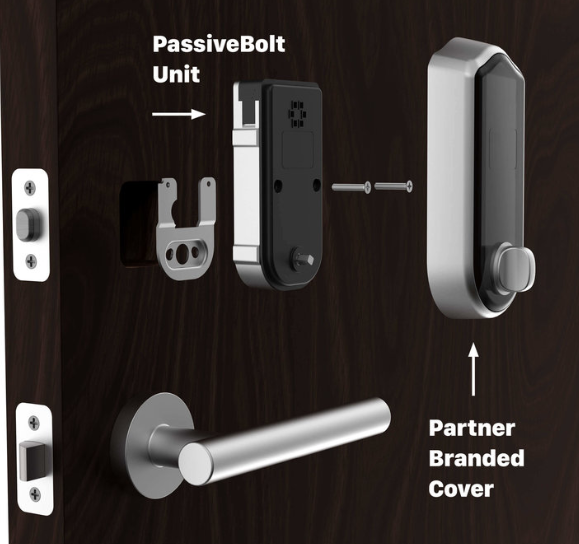 The start-up that was spun-off last year is PassiveBolt, which is revolutionizing the supply chain for smart door locks by bringing to market the turnkey smart lock mechatronic module. The team was able to create a viable product, and is now intensively working on it. Looking at our co-operation program, we are proud to be already working on, and partially having finalized more than 10 PoCs worldwide. What are the main obstacles you had to overpass in the set-up of Co-pace? For the incubator program, one of the largest obstacles we had to overcome was the fact that we were removing people from their day-to-day activities for three to four months. This posed a problem because it was difficult to convince these employee’s supervisors of the benefits of letting their employees take part in the incubator. However, this hurdle was solved in two ways. First, we got the backing of senior management, including the board to explain the benefits to the supervisors. It was important that they not only understood the benefits for the employees, in terms of learning, but also for the company. One of the goals of the incubator is to promote cultural change, and move Continental towards an innovative future. Additionally, we explained to the supervisors that the incubator time was only a delegation, which means that the employees would return to their business unit after the incubator. This way we were able to successfully overcome the obstacle, and get the supervisors on board. The next challenges are to successfully complete the incubators in Mexico and China, and to launch the Berlin incubator. Additionally, we will be looking to set up the incubator in 2019, and make the necessary preparations such as selecting the teams, and hosting Pitch Days, and finding the right partners. For our other building blocks, the co-operation program and CVC, we do not necessarily detect challenges but rather define goals and milestones which are quite naturally: connecting with even more start-ups to co-create even more successful PoCs.